Rajaei Shahr Prison, located in the city of Karaj, is among the most deplorable prisons in Iran. According to Iran’s Prisons Organization, Rajaei Shahr is intended to hold detainees convicted of violent crimes. Despite this, for years the Iranian authorities have been using Rajaei Shahr to exile prisoners with a variety of charges, including political prisoners. In recent years, there have been numerous reports about the unlawful actions of authorities at this prison. Such actions include colluding with organized crime, smuggling, organizing targeted assassinations, working closely with the prison mafia and ignoring the unlawful actions of security agents. Based on thousands of published reports in the last four years and interviews with dozens of victims, the main human rights violators at Rajaei Shahr Prison have been identified. The list includes authorities ranging from the head of the prison to the clerk of the prison shop. Many of the problems in Rajaei Shahr are rooted in the activities of criminal gangs inside the prison who are backed by the prison’s highest ranking authorities. Many of the Rajaei Shahr Prison authorities adhere to the unlawful agendas of security agents for financial gain. Extrajudicial actions against political prisoners that are caused by this relationship include the denial of medical care, which can lead to death or the contraction of serious illnesses. The list has been compiled based on thousands of reports in the last four years and interviews with dozens of victims. Mostafa Mohebbi is the head of all prisons in the Tehran province. Mostafa Mohebi is the head of all prisons in the Tehran province. Irregular inspections and the humiliation of political prisoners and their families are some of the unlawful acts under his direct order. On July 30, 2017, more than 50 political prisoners were forcefully transferred from Hall 12, Section 4 of Rajaei Shahr to Hall 10 (which is used to hold Sunni prisoners). During the transfer, prisoners were beaten up and their personal belongings were confiscated. The violent transfer occurred under the authority of Mohebbi and Mohammad Mardani, then head of Rajaei Shahr. While, according to the testimonials of some of the prisoners who were transferred, black market items such as television sets, refrigerators and food are regularly sold to prisoners with nonpolitical charges. The living conditions for prisoners in Hall 10, Section 4 borders a crisis. Following a visit to this section of the prison by an official from the Prosecutor’s Office, it was ordered for the prisoners to be supplied with basic amenities immediately, but the order was ignored by prison authorities. When the prisoners protested against the neglect, they were informed that Mohebbi had opposed the order from the Prosecutor’s office. Mardani and Gholamreza Ziyayi (Mardani’s successor) say that limits forced on political prisoners and the confiscation of belongings were as a result of orders issued by Mohebbi. Mohammad Mardani (left) is the former head of Rajaei Shahr Prison. Mohammad Mardani is the former head of Rajaei Shahr Prison who was promoted to a position in the Prisons Organization but still continues to have influence inside the prison. Many counts of human rights violations were reported during Mr. Mardani’s time at Rajaei Shahr. It was, for instance, reported that he had deliberately situated prisoners next to each other in order to instigate violence, which led to cases of suicide. According to reports, Mardani was also known for preventing letters written by prisoners to reach the security department of the Prisons Organization. Gholamreza Ziyayi (right) is the former chief of Rajaei Shahr Prison. Gholamreza Ziyayi worked at Rajaei Shahr from September to October 2017 as the prison’s chief. 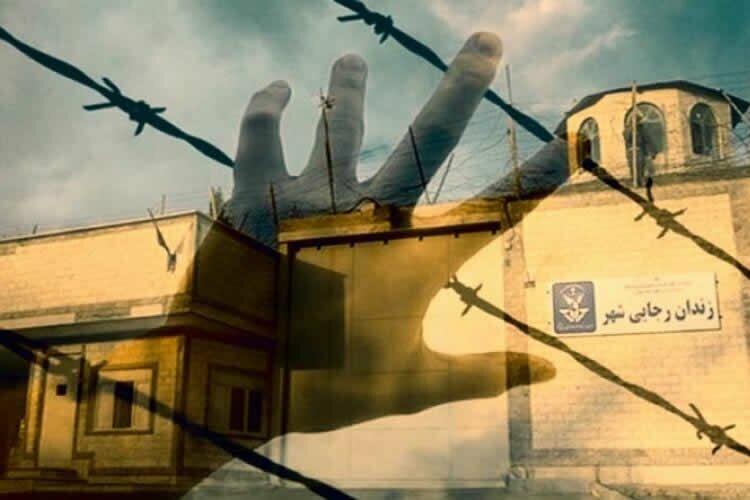 Only a week after his appointment Ziyayi took an unprecedented action of ordering the transfer of Baha’i prisoners to a section of the prison known as the “Annex”. This section was reportedly built to further punish select prisoners. During his time at Rajai Shahr, Ziyayi had reportedly boasted to prisoners that he was formerly in charge of the infamous Kahrizak Prison. Multiple political prisoners died and many were tortured in Kahrizak under his supervision. Since December 2018, Gholamreza Ziyayi has been on the US sanctions list due to human rights violations. Rostami is the Deputy Prosecutor for political and security-related prisoners at Rajaei Shar. Rostami is the Deputy Prosecutor for political and security-related prisoners at Rajaei Shahr. Rostami only responds to the families of prisoners two days a week in addition to accepting monetary bribes from the families for small favors, such as sending a letter. Rostami is known for rarely permitting visits to the hospital for ailing prisoners. In the first session of the trial of those charged with the armed attack in Tehran, Rostami appeared as the Prosecutor’s representative and as a result, prisoners were able to identify him. Hossein Ajak is reportedly in charge of executions at Rajaei Shahr. Hossein Ajak is known to be in charge of the executions at Rajaei Shahr and is notorious for beating up prisoners. He reportedly covers his face when executing prisoners, but those who were saved from execution were able to confirm his identity. Hossein Ajak is one of the two prison authorities who was recently tasked with transferring three political prisoners from Rajaei Shahr to Imam Khomeini hospital and beating them up with a baton without any prior warning. The political prisoners reportedly issued a complaint against Hossein Ajak to the hospital’s security department, but the prison authorities were able to justify their behavior to the authorities at the hospital. In the trial for the political prisoner, Mohammad Salas, Ajak was sitting with Mohammad Salas and was able to be identified as a result. Vali Ali Mohammadi is the internal manager and head of Section four of Rajaei Shahr. Also known as Ali Mohammadi, he is the internal manager and head of Section four of Rajaei Shahr. Some prisoners claim that Vali Ali Mohammadi smuggles drugs into the prison by cooperating with criminal groups. Prisoners claim that Ali Mohammadi takes part in the beating of political prisoners and the destruction of their personal possessions. Ali Mohammadi is also known for placing political prisoners with regular prisoners and tearing up books. Ali Mohammadi reportedly works under the direct orders of He also says these are all done by direct orders of Mostafa Mohebbi. Maghsood Zolfali is the head of the special guard forces at Rajaei Shahr. Major Maghsood Zolfali is the head of the special guard forces at Rajaei Shahr. This security apparatus has repeatedly attacked different halls in Rajaei Shahr under the direction of Zolfali. During inspections, Zolfali is known for beating up prisoners and destroying their personal possessions. Darzi is in charge of prison inspections. Drugs are known to be widespread in Rajaei Shahr Prison – especially heroine, methamphetamine and opium. Prisoners claim that it is the staff at Rajaei Shahr who smuggle the drugs into the prison. Prisoners have said that Darzi works with Ali Mohamamdi and Faraji (below) to smuggle drugs in via the prison shop and they divide the profits. Faraji is in charge of the prison shop. Prisoners have told that Faraji sells shop items at trumped up prices and sells some items only to select prisoners who aide him in his unlawful activities. It has been reported that the shop at Rajai Shahr lacks fruits and vegetables while drugs are smuggled in and sold easily. Furthermore, Mr Faraji is known for helping smuggle in mobile phones for some prisoners. Bagheri is in charge of carrying out executions at Rajai Shahr and is known as “The Executioner” by prisoners. Nematollah Saadat Rasool is the head of the prison’s security department. In January 2018, “Human Rights Activists” had reported that prison authorities intended to place additional pressure on prisoners by refusing to provide them with heaters. Prisoners claim that two other prison staff members, Keyvani and an unidentified individual, also smuggle drugs into the prison. This has been reported to Mr Saadat Rasool and Mr Bahraini, who is in charge of security at the Prisons Organization, but they have refused to conduct a follow-up investigation. Prisoners believe that Mr Saadat Rasool and Mr Bahraini are complicit in the smuggling of drugs into the prison. Hassan Gord is the head of section 1 of Rajai Shahr. Mr Gord works with gangs inside the prison and has helped instigate clashes that have led to murder. The latest case is prisoner and gang member, Vahid Moradi, who was murdered in Section 1 under the supervision of Mr Gord. Mr Gord is known to be close to the head of a rival gang to that of Mr Moradi’s. On the morning of Mr Moradi’s murder, Mr Gord placed Sayid Salehi, one of the main suspects in the case of Moradi’s murder, in section 1. Prisoners in this section have testified that Mr Moradi was knifed and his transfer to the clinic was deliberately delayed, which led to severe blood loss and his death.